Great and Gray Day ….Rain Coming and Fishing Has Been Good…. Wed..Feb.29, 2012……It’s been a moist day so far, fishing in the rain but man has it ever been good. Guiding Josh Lee from Charlotte,NC area, and we have had excellent fishing tallying about 20 fish including 2 citation rainbows. Taking a lunch break and going to fish some more water before the storms set in. They aren’t here yet but the skies look ominous here. We fished right through a couple downpours but the water remained high but clear. 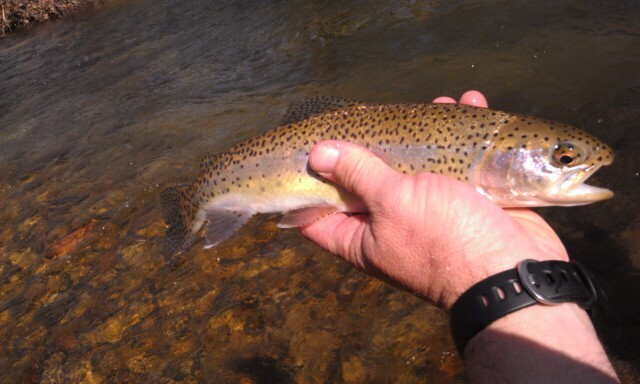 Great Day On The Water…..
22" on the net, and had 2 30" fish break off….they appeared to be large browns. It was a pleasure to guide a truly great caster as George was certainly that. He will be returning perhaps in May to join me for another trip. murky conditions….most waters have cleared up after the rains last week. Where we were fishing the banks are mud/sand and the riverbed is dolomite/white limestone and they are the last to clear up. Headed out today guiding Josh Lee from the Charlotte, NC area and we will have an eye to the sky as there’s another soggy system coming. Tues….Feb. 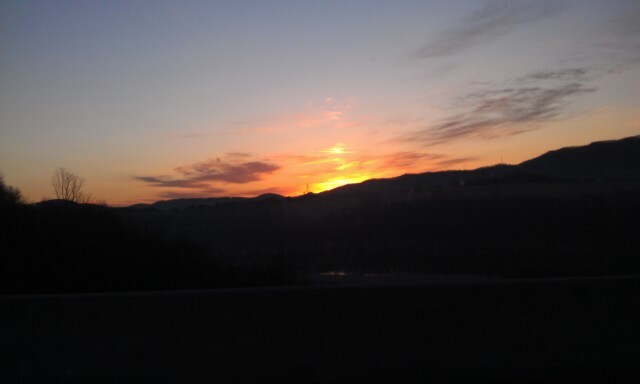 28, 2012…..A gorgeous drive this morning through the New River valley. Guiding George Warren from Dallas, TX today and we are headed over to Russell County in search of some gigantic rainbows. Looks like today is to be sunny and 65F…. Mon….Feb. 27, 2012…..A chilly, blustery weekend it was but temps rebounded today and are supposed to be warm again the next couple of days until we are supposed to have a round or rain/thunderstorms on Wed/Thursday. I had a guided trip scheduled today with Bob Ziegler of High Point, NC but generation schedules were not good for both TN tailwaters we were going to fish. 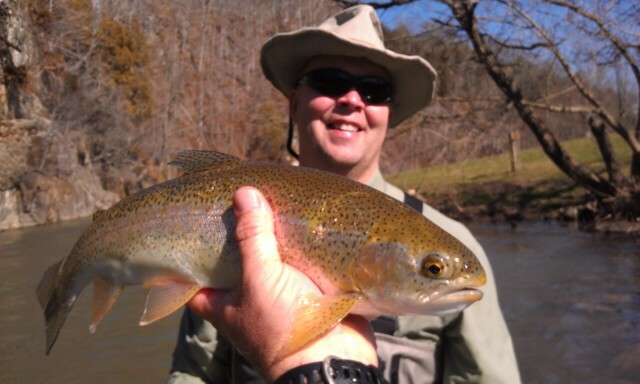 Have a guided trip tomorrow and will be guiding George Warren from Dallas, TX, and we will be headed to fish for giant rainbows in Russell County, VA. Looks like sunny and 62F is the weather ……wow. 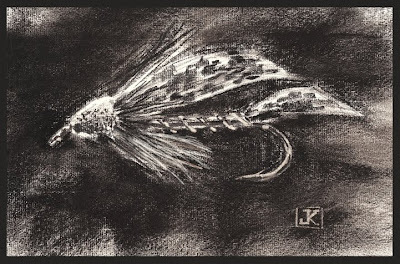 Have a great evening …..
Another Stormy Day, Challenging Fishing…..
Fri…Feb.24, 2012…..What a day, sunny, warm….73F and catching a few fish….then things broke loose…weather wise that is. 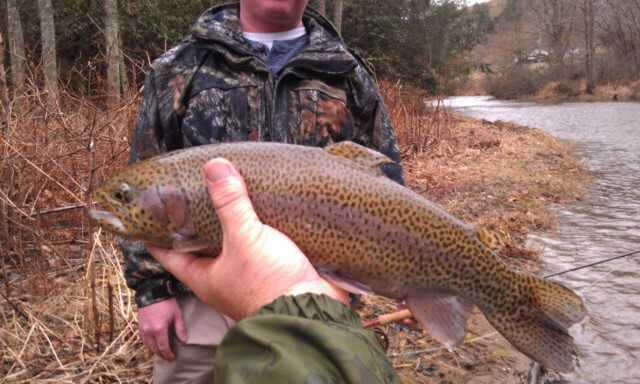 I guided Dan Camia and Larry Tomar and we landed about 15 fish in some very stormy conditions. We had winds of over 40mph and severe thunderstorms all around. With the passage of a strong cold front. 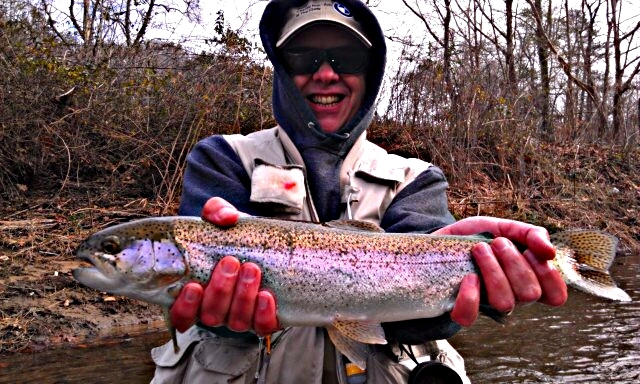 The temperatures dropped 25 -30 degrees and the wind gusts were 40-50….wonderful casting conditions….lol. 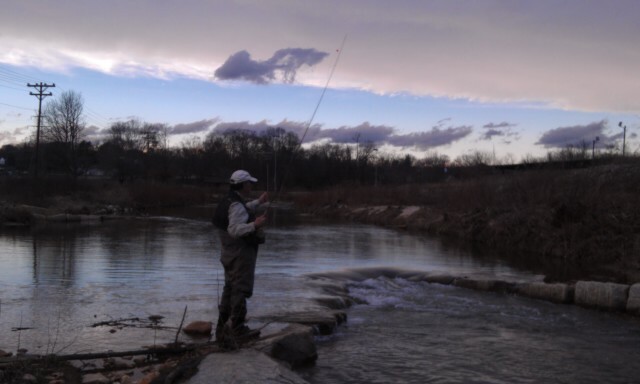 Tough Conditions….We Are Fortunate to Catch Fish…..
Thurs….Feb. 23, 2012….What a rough weather day ….or should I say conditions were rough but the weather was like late spring. One inch of rain on top of 6inches of melting snow is a recipe for one heck of a mess. That is precisely what most water in SW VA and NW North Carolina is like….high and muddy. Was guiding Roger and Dan Harrison today and we had to go to plan B when plan A was high and muddy. We did find some clear water, still on the high side..and managed about 10 rainbows and one large fish that broke off that we never saw. The guys were a lot of fun, and were troopers in fishing hard right through less than ideal. 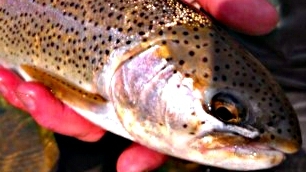 Have another trip tomorrow guiding Dan Camia and Larry Tomar. Hope things clear up a bit. Thurs….Feb. 23, 2012….Good morning all, hope all is well. Boy is it foggy this morning. Headed up today and guiding Roger and Dan Harrison and hoping for a good day. We’ll see, the water is up…..!!!!!! Wed…Feb. 22, 2019…..We predicted earlier today that some T-Storms would get organized over East TN and SW Virginia….and that’s exactly what occurred. The storms stayed organized enough and strengthened again enough to give us a pretty strong storm right now as I finish this post. SW VA got over and inch and a half of rain on top of melting snow. North Holston 1010 (430), South Holston VA 910 (410), Middle Fork Holston 203 (90), Clinch -Richlands 1200(450), S.Fork New R. 310(525), Mitchell R 170(80)…..
Have a guided trip with Roger and Dan Harrison tomorrow, looks like we will have some high flows to fish in. Sure hope we can get in a full day . Forecast tomorrow is some more severe weather in the evening and some late day thunderstorms. Spring on the Way In? 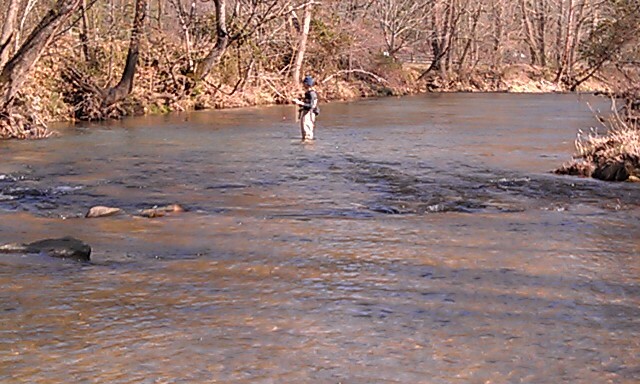 Wed. Feb. 22, 2012…..Had scheduled a guided trip to SW VA with Mike Workman of Thomasville, NC, but the recent rain, snow, and resulting snow melt has the water where we were headed high and muddy. A lot of other places including our mountains fared pretty well. We got more snow in the extreme NW Mtns and all the way east along the NC /VA border….where we live. But things are changing quickly and the jet streams , the same ones that brought us the winter blast and snow…..have sagged south bringing in some warmer temps and instability on Southerly winds. Forecast this evening and tomorrow evening in SW VA is for thunderstorms…some of which could be severe. I will be getting ready for some trips coming up, one tomorrow and I will be guiding Roger and Dan Harrison and they are driving in from Northern Va. Friday I will be guiding two regular clients and two of my favorite folks….Larry Tomar and Dan Camia. 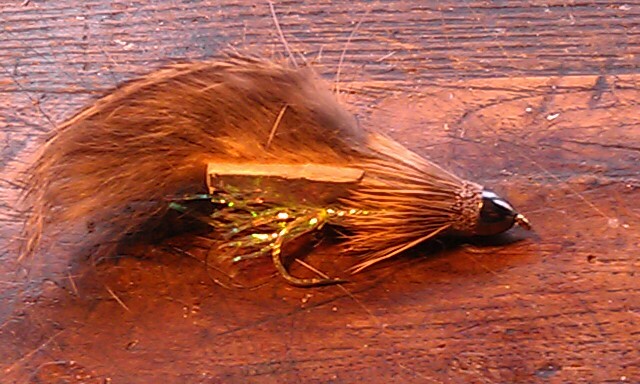 Will be cranking out a pile of flies as next week begins with several trips as well. On Monday I will be guiding Bob Ziegler of High Point, NC on the South Holston /Watauga, George Warren from Texas on Tuesday, and Josh Lee from Monroe, NC, on Wednesday. 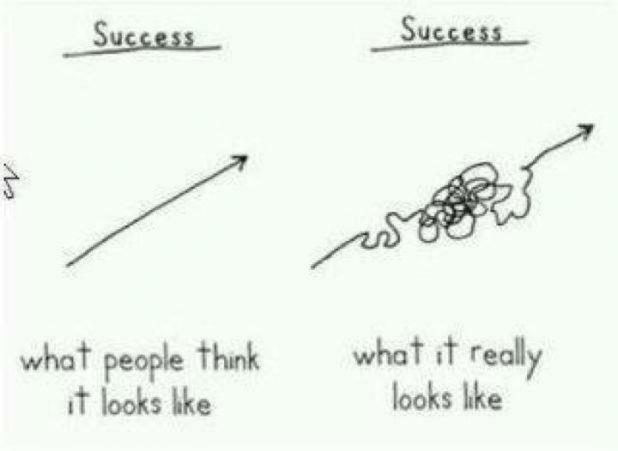 Looking forward to a great week. 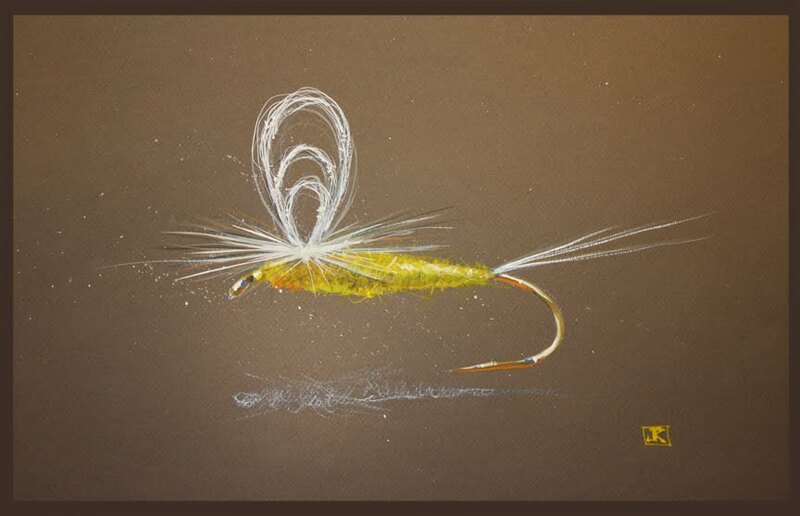 And again, with us having good flows the fishing should be superb. Here’s a video for you if you haven’t seen it…..if this doesn’t get the heart giddy and the fishing fever going you may want to check to see if you still have a pulse…..
Will be cranking out some nymphs as well as some early season dries including blue winged olives, bwo emergers, and some split back/split case nymphs. Here’s a little humor for your day, when you think about it this could be said of fly fishing as well…..
Good day to you, will have another report on water conditions later today…..Tight lines..